I have a website using Joomla 3.5 and I currently have a 'Login' main menu item. Once a User logs in, there are some sub-menu items that appear under the 'Login' menu item. 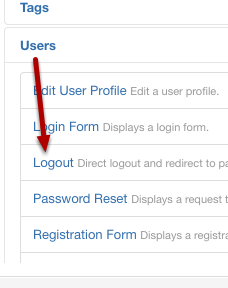 What I want to do is to change the menu item name from 'Login' to 'Logout' and point it to another page so they can actually log out. Select the Menu Item Type. 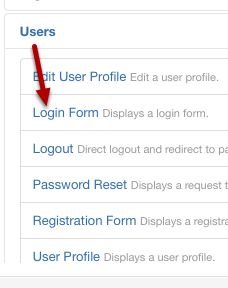 Choose Users > Login Form. Guest access will make it so that it only appears to non-logged-in users. If for some reason your site doesn't have Guest access, you can use this tutorial to create it. Next, let's create the Logout link. Create a new menu item. 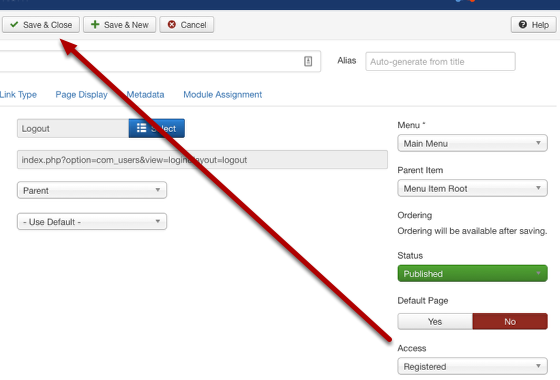 This feature was added in Joomla 3.5. 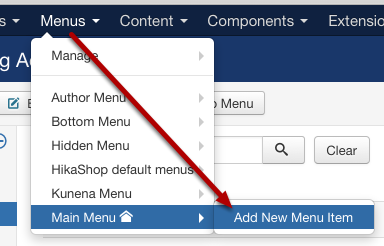 So if you don't have this option, you'd need to update to Joomla 3.5 or later. Finally, let's test to make sure we got everything right. Does the "Login" appear when logged out? Does the "Logout" appear when logged in? Does it appear when logged in with another account of a different access level? If not, you may need to adjust the Access Control. We have a class on that at Joomla's Access Control Levels. That's all there is to it. Congrats! 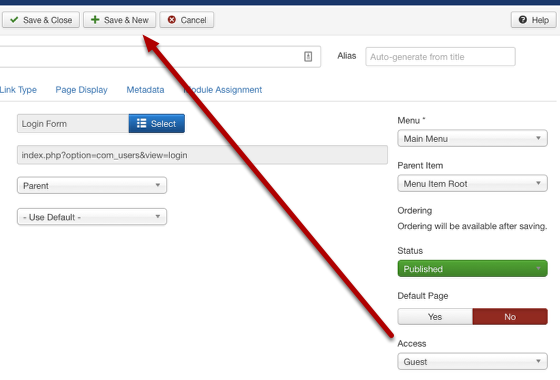 Joomla 3.5 and higher makes it really easy to set up. As always, thanx to OSTraining for best Joomla Tutorials out there. I had to do the same thing on one of my sites. Note: The path may be slightly different depending on the template's framework. You will of course need to change #nav to your menu wrapped selector and .item-222 a to the menu item selector. If you provide a link to your site, I can give you the exact code used above, but until then, this is all I can provide. I made changes to the User Access Levels but these didnt appear to be working, I have since cleared my cache and now the website appears to be working how I wanted to. 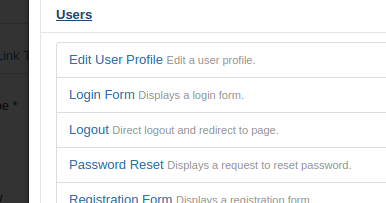 ADMIN with Sub-Menu Items: Changed all User Access Levels to 'Registered', this includes my "logout" button. Now when I login, the menu updates correctly. Not the answer you're looking for? Browse other questions tagged joomla-3.x menu-item login joomla-3.5 or ask your own question. How to add submenus to a menu?